This article, originally published on December 1, has been updated as of 9:30 p.m., December 4, 2017. TORONTO, Dec. 4, 2017 – In a major shakeup of the mid-tier market in Canadian accounting, RSM International has launched RSM Canada, cleaving Collins Barrow Toronto from its national network. 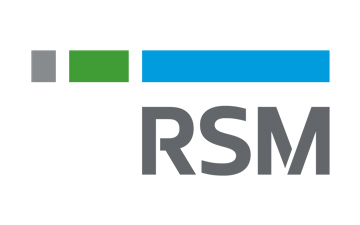 RSM International is the industry's sixth-largest firm, with offices in 120 countries, and its Canadian acquisition completes its North American coverage of the mid-tier accounting space. RSM Canada will comprise 37 partners and nearly 300 professionals in Toronto. Harry Blum, head of Collins Barrow Toronto, will serve as managing partner of RSM Canada. "This is the next step in our evolution," says Blum. "Over the past nine years, our firm has grown to the tenth largest firm in the country, operating out of one office in Canada's financial capital, Toronto." The firm encompasses RSM Canada LLP, the Canadian member of the RSM International Network providing audit and tax services, and RSM Canada Consulting LP, a newly formed partnership of RSM Canada and RSM US LLP. RSM Canada Consulting LP will provide expanded consulting services, such as management consulting, IT infrastructure and business applications, and security, privacy and risk to clients in Canada. "Our goal is to be able to service our clients seamlessly across borders and we think RSM is the perfect partner for this," says Blum. The company plans to expand its network beyond Toronto to other markets in Canada but whether that includes other Collins Barrow offices has not been declared. In a press release issued on December 1, Collins Barrow National announced that it is "recruiting an innovative, like-minded Toronto firm with an entrepreneurial culture to join its expanding network ... with the unique opportunity to 'punch above their weight class' as part of a strong national network." The release did not mention the RSM acquisition. According to reports published in The Bottom Line, the accounting newspaper formerly published by LexisNexis, Collins Barrow ended 2015 as the eighth largest firm as ranked by revenue in Canada, a position it had held since at least 2012. As The Bottom Line ended publication in December 2016, no figures are available for 2016, but a spokesperson for Collins Barrow National informed Canadian Accountant that "the network has seen nearly $80 million in revenue growth (growing each year) in the past five years." In recent years, the rise of Calgary-based MNP has changed the mid-tier acccounting landscape in Canada. MNP was tied with Grant Thornton for the fifth largest firm by revenue in 2016. As reported by Canadian Accountant, MNP led all Canadian audit firms in 2016 in new clients among publicly traded companies with a net gain of 35 out of 50 engagements. While an early edition of this article stated that Collins Barrow experienced a net loss (as did three of the Big Four) in publicly traded company clients in 2016, the numbers are not indicative of the overall revenue of the network, and was not intended to suggest otherwise. Publicly traded companies form only a segment of the many mid-market clients served by Collins Barrow. Colin Ellis is editor of Canadian Accountant.